If you’re like me, you look for easy dessert recipes to make for holidays and this one is great for Easter! 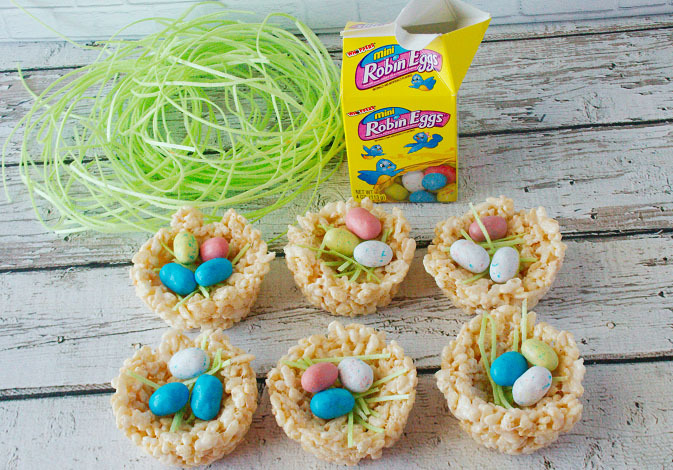 Instead of making a square pan of rice krispie treats, you use a muffin tin to make individual little egg nests! Melt the butter over medium heat and stir in the marshmallows. Continue stirring until completely melted. Pour the mixture over the crisp rice cereal and stir until well combined. Spray a muffin tin with cooking spray and shape the nests. I found it helpful to also spray a spoon and use it to help make the indents. You could do this by hand but it would be quite messy! 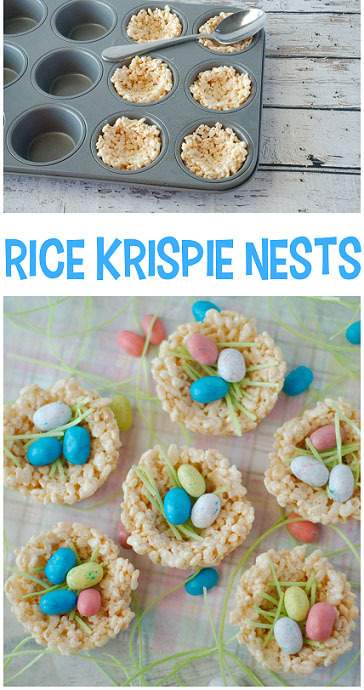 Let the rice krispies cool in the pan, pull them out, and decorate! I broke up the edible Easter grass, placed it in the next and filled the nest with the eggs. The chocolate eggs are so whimsical!